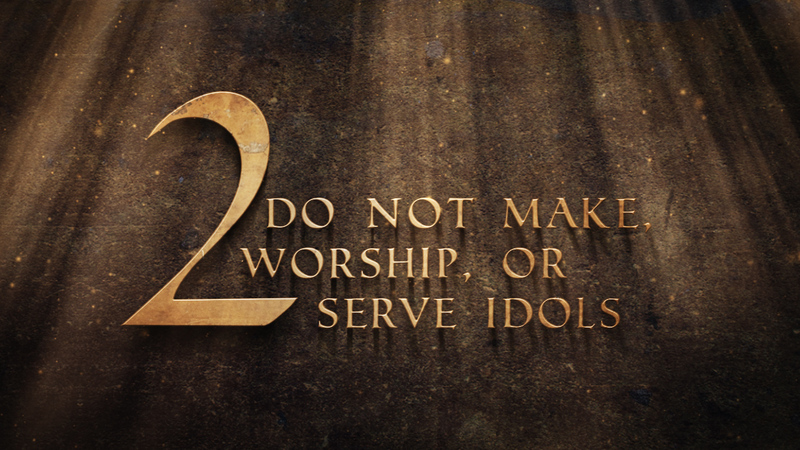 Idolatry is not just a worship of statues and wooden animals. Idolatry did not dissolve as we moved into modern times. No, idolatry is alive and well, often thriving in the hearts and minds of believers. Is that shocking to you? Idolatry is loving or elevating anything or anyone above the one true God. I say elevating because we can serve an idol of something we hate – so much so that it consumes our thoughts and our time. Good things can become idols when they usurp God’s rightful place in our hearts and minds. Repenting of idolatry takes more than just words and sorrow; repenting of idolatry takes turning away from the idol to God. I think sometimes we approach our idols as if they will die of old age; they will somehow just peter out and lose their allure. If that is what we are waiting for – it’s not likely to happen. The Bible indicates it requires a much more proactive approach. What do you long for, love, adore before God? What do you turn to before you turn to God? What vies for your attention, time and thoughts more than God? Where do you go for comfort, peace and rest other than God? Who or what gives you your identity other than God? Who or what defines you other than God? What or who do you worship other than God? Where to you seek fulfillment for your heart’s yearnings other than God? Idolatry would be easy to see if it was bowing down to stone statues, but the idols in our hearts are hidden, subtle and often hard to see or identify because they seem so normal or explainable. Oh, Lord, may our hearts be fully engaged and filled with love for You above all else. Show us how to do that, Lord, that we may repent, turning our faces toward you.